Combining comic book-style art with problem-based learning, SpyClass helps students improve key Mathematical skills required in the curriculum. Jump to section: Features | Why use SpyClass? | Helping students learn Mathematics | What are teachers saying? | FAQ | How to buy? SpyClass brings together the worlds of education and gaming to help students hone their Mathematical problem-solving skills in an exciting and immersive 2D environment. Directly aligned with the Jacaranda Maths Quest series, SpyClass is suitable for use both inside and outside the classroom, depending on teacher preferences and the needs of individual students and classes. Together, SpyClass and the Jacaranda Maths Quest series provide a complete teaching solution for Years 7-8. 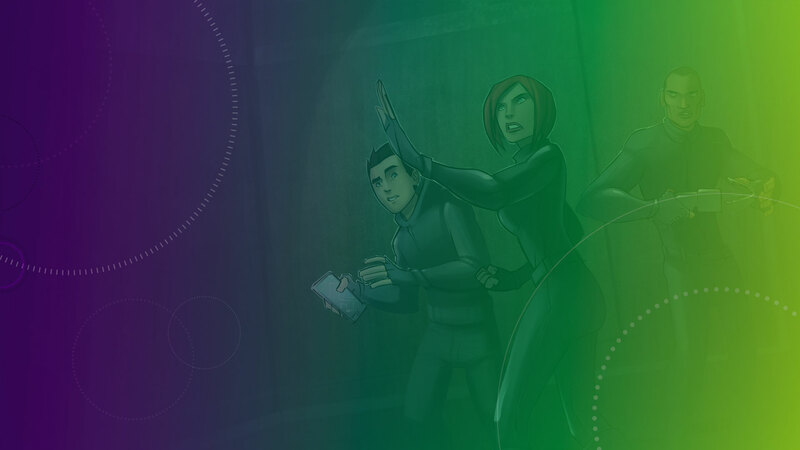 Set in a visually stunning comic book environment designed to appeal to most students, SpyClass encourages the self-discovery of Mathematical concepts. An exciting narrative increases student participation and identification with the central characters, and features such as scores and rewards motivate students to complete questions. SpyClass provides flexibility to ensure the needs of individual students and classes are met. The graphic novel format is accessible across all reading ability levels and a multi-level system (Bronze, Silver, Gold) means students can progress at their own pace throughout the game. 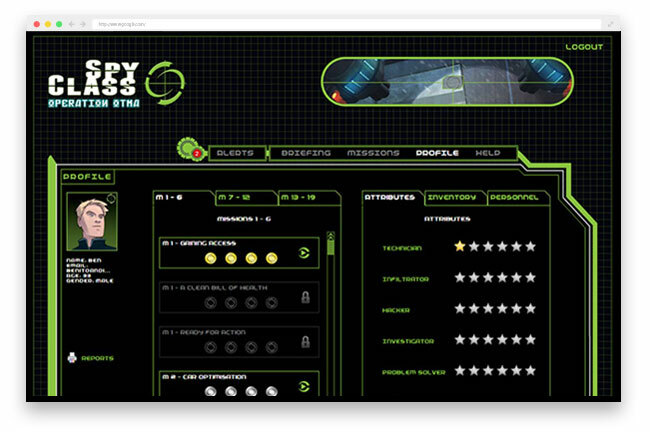 Intuitive and easy to use, SpyClass inspires student independence and encourages play with minimal teacher involvement. Alignment to the curriculum and Maths Quest series means that teachers can have confidence that SpyClass contributes to student learning of examinable skills and concepts. What’s more, SpyClass is a source of ready-made content that teachers can leverage, whether to benchmark at the start of the year, prepare for exams, use as homework or target specific topics. Exportable and printable summary sheets let students easily track their progress and performance against curriculum strands. In turn, teachers can use these evidence-based insights to intervene at the right time. How does SpyClass help students learn? 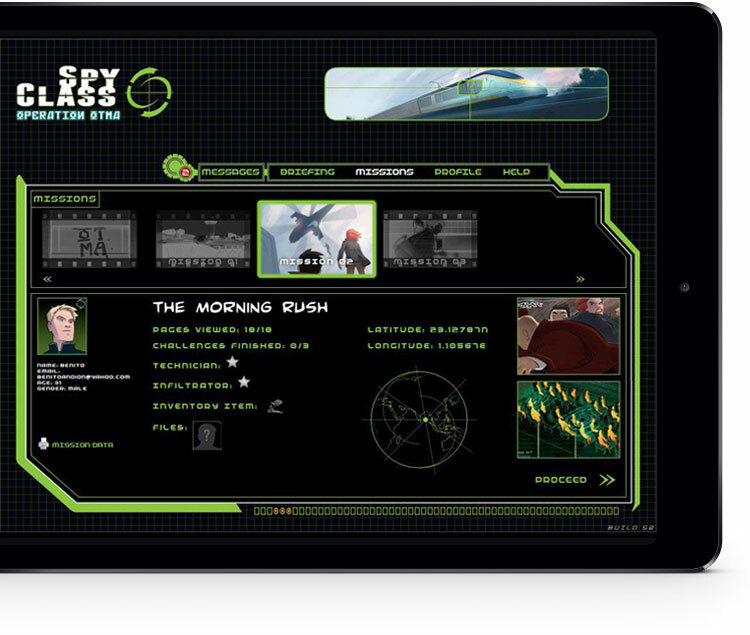 Combining the key elements of a spy story, play and curriculum-aligned content, SpyClass helps students improve their Mathematical skills while assisting the games’ protagonists, three teenage spies named Dan, Jesse and Toby, fulfil a range of missions set in exotic locales. 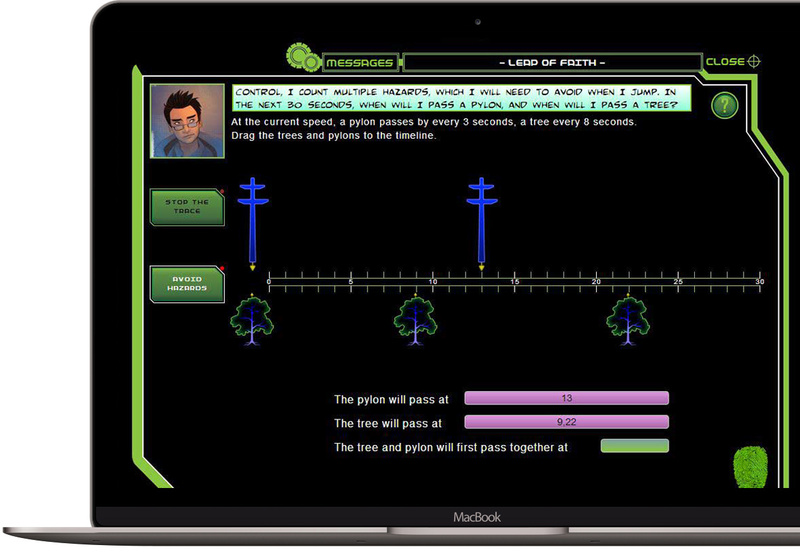 Designed to work in parallel with the Jacaranda Maths Quest series, each SpyClass mission is linked to a specific chapter in the Year 7 or Year 8 text, making it easy for teachers to tailor use of the game with their classroom practice. For students that get stuck, built-in hyperlinks to the Maths Quest eBookPLUS ensure that help is one click away. After an initial training level, students move through a series of missions that progress with increasing difficulty. Each mission contains a minimum of three Learning Objects, interactive tasks where students have to apply their Mathematical knowledge. As challenges are solved, students receive rewards. These are tabulated in students’ Profile screen, which also highlights their levels of achievement. Unlike traditional games, SpyClass enables personalisation of content to appeal to all learners, from those performing at the expected level, to ones that require re-engagement in the material, or extension. 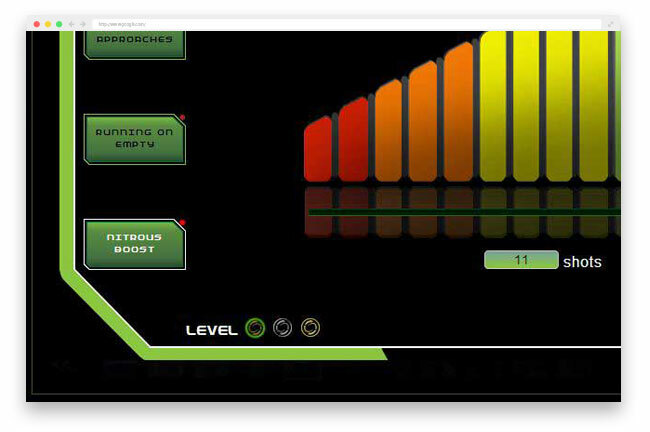 Students rate their ability at the start of the game to determine the level of the challenges that they will complete (Bronze, Silver or Gold), and maintain flexibility to easily upgrade or downgrade their level as they progress throughout the game. SpyClass is available in two levels to allow continuity of skill development, both inside and outside the classroom. SpyClass 7 is aligned to Year 7 of the curriculum, but may be used across Years 6-8 depending on the skills of individual students and classes. Similarly, SpyClass 8 can be used for Year 8 through to Year 10. What are teachers saying about SpyClass? Click on the [+] or [–] to expand/collapse. Is SpyClass linked to the Australian Curriculum? Yes. Similar to the Maths Quest series, SpyClass covers key skills and concepts from the Australian Curriculum. Click here for a breakdown of the topics covered in SpyClass. SpyClass is suitable for use in all states across Australia. Is there a Teacher Edition? No. SpyClass is only available as a Student Edition. Is SpyClass compatible with the iPad? What are the system requirements for using SpyClass? If you like the idea of online games to supplement your classroom teaching, but aren’t sure how to use them effectively, check out our blog post on how to get started with games-based learning. SpyClass is available as a standalone purchase, as part of a value pack (combined with the Maths Quest text) or as part of the Jacaranda Bundle plus (a package of 10+ premium digital resources) to suit the needs of all schools and individual parents. Value pack pricing from $64.95 Not available as an individual online purchase. Institutional license only. Contact your Jacaranda Sales Consultant for more information. Contact your Jacaranda Sales Consultant for more information. Bundle pricing from $100 per student.